Guidebook to walking and trekking in Chile's Torres del Paine National Park and Argentina's Los Glaciares National Park, areas of Patagonia. Eight different walks and treks are described, including the 10-11 day Torres del Paine Circuit, one of the world's great treks, as well as the shorter Half Circuit (4-5 days). The guide also includes other multi day treks and several day walks, as well as excursions from both Puerto Natales and El Calafate. 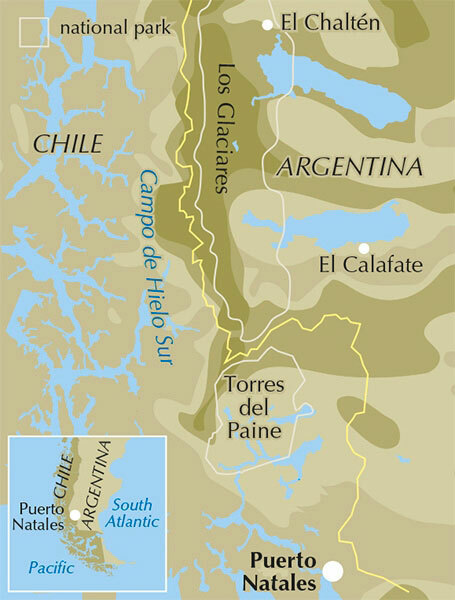 The 140km Torres del Paine 'O' Circuit in the far southern Andes is a long-distance trek of staggering beauty, as it circuits the Paine massif. This route typically takes 10-11 days to complete and is suitable for competent trekkers. While Torres del Paine National Park offers a remote wilderness, walking is easily accessible with clear trails, good public transport and regular mountain huts and campsites. The guidebook helps walkers and trekkers venture into Patagonia with confidence, and includes advice on getting to and around the regions, languages, visa, currency, accommodation facilities in the National Parks as well as useful guidance on what to take and expect on the treks. 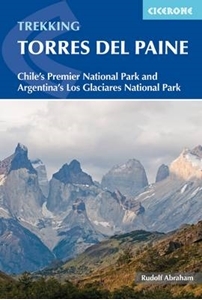 Full background information on the geology, history, wildlife, flora and cultures of the regions are also explored, resulting in an excellent companion guide to walking and trekking in Torres del Paine and Los Glaciares.